Effective as of July 1, The Housing Authority of the County of Los Angeles has adopted a smoke-free policy for its 63 public housing developments to protect its 6,539 residents including families, youth, and 1,179 elderly and/or disabled, from the dangers of secondhand smoke. 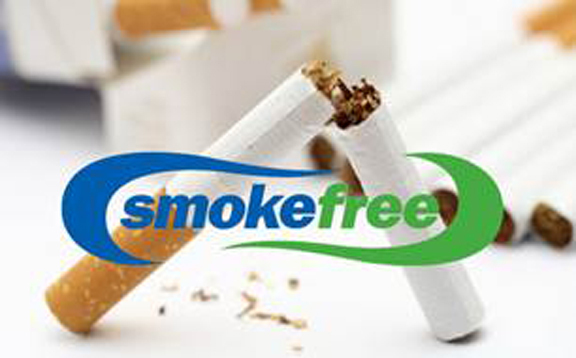 To facilitate the transition of living in a smoke-free environment, the Housing Authority provided residents with a one-year transition period from July 1, 2013, through June 30, 2014. During this period, the Housing Authority conducted a systemized process of outreach activities to its residents, including educational workshops, surveys, and marketing campaigns. Through a partnership with the Los Angeles County Department of Public Health (DPH) Tobacco Control and Prevention Program, the Housing Authority received over $40,000 worth of smoke-free education and smoking cessation aids for its residents. DPH and the University of California Los Angeles (UCLA) American Medical Student Association also facilitated smoking cessation workshops at public housing developments where over 400 residents participated. During the one-year transition phase, more than 90% of the Housing Authority’s public housing residents voluntarily signed a lease addendum pledging their unit as smoke-free before the mandatory implementation deadline of July 1, 2014. The U.S. Surgeon General warns that breathing secondhand smoke for even a short amount of time is dangerous. Children, the elderly, persons with disabilities, low-income, and other disadvantaged individuals and families are the most likely to suffer from breathing secondhand smoke. Secondhand smoke contains chemicals known to be toxic; those exposed are at increased risk of heart attacks, lung cancer, and asthma. Sean Rogan, Housing Authority’s executive director stated, “Today marks a special day for our public housing program. I am proud of the willpower of our residents to improve their quality of life, and their collective dedication to making their communities a much healthier place to live.” Due to the success of the smoke-free program, in June 2014, the Housing Authority received a Los Angeles County National Association of Counties Achievement Award for the implantation strategy of its “Smoke-Free Policy in Public Housing” efforts. For more information on Housing Authority’s programs, call (626) 262-4510.